On Thursday the 26th February 2009, Fine Bros (Pty) Ltd celebrated its 100th birthday on Cape Town Market. 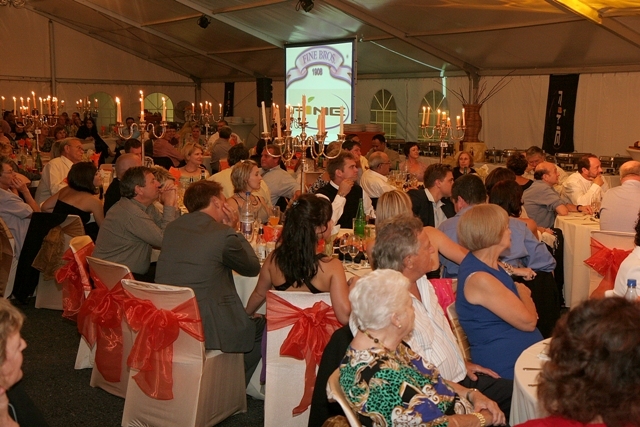 A glitzy gala dinner was hosted at the Cape Town market where 500 guests from a diversified background within the Fresh Produce Industry where in attendance. The evening was a great success and Fine Bros are ready for the next 100 years of business. The guest speakers for the evening were Ian Lourens (Chairman of Lebombo Growers), John Holmes (Chief Operations officer of CTM), Dr Anwar Nagia (Chairman of CTM) and Quintus Visser (Entrepreneur and Family friend of the Norman family). The evening was well orchestrated by the MC, Ryan O Connor from KFM, and he had the audience captivated with his well known charm and sense of humour.